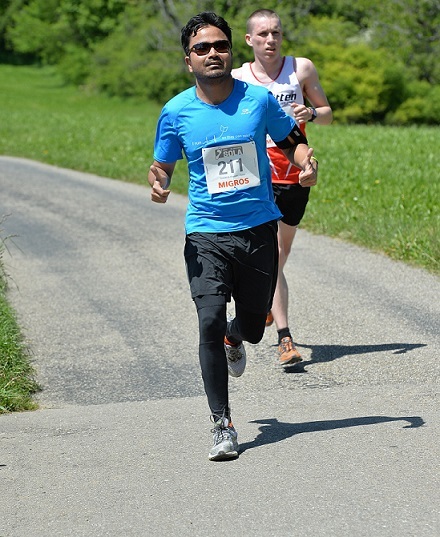 70 CHF to send a child to school in India for the entire year, help us send 600 of them through Zurich Marathon 2019! India is a country of contrast. On the one hand it sends rockets to Mars, but on the other hand millions of children still remain malnourished and uneducated. Since the time I was growing up, this dichotomy always confused me and I thought how is it even possible to develop a country without educating every single child. Since I moved to Switzerland in 2011 I joined the Zurich chapter of the global non-profit organization Asha for Education to do my part in educating the underprivileged children in India. We volunteer our time to raise funds for schools that our partners in India run. The schools are located in remote areas with little or no public infracstructure available. We not only keep track of them, but also visit them once a year to make sure everything is running smoothly. We do it all for free, as it makes us happy. I have personally visited two schools in West Bengal and Maharashtra respectively and was really impressed by them. Zurich Marathon is the biggest fundraiser for Asha Zurich. We have been taking part in it since 2012. We run wearing the Asha running shirt that says " We run so they can read." I am running in the Team Run since 2015.When you make a donation through my profile, we make sure that the entire amount actually goes to fund children's education, and is not "lost" on the way. 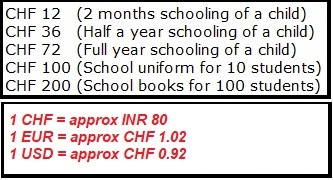 To give you a perspective, around CHF(USD) 70 can send a child to school for the entire year. This year we have decided to send 600 of them through our Zurich Marathon fundraiser, whereas we are supporting 2000 in total. I leave it up to you how many you would like to empower by donating to Asha through my profile.